The Classic Army AK-47 S Sportline gives you a compact rifle with the recognition of being one of the most iconic guns to exist. This sportline model will ship directly from the manufacturing center. AK-47 Sportline S is priced lower since the product is coming from Hong Kong! This is literally one of the best deals on Earth considering the package can ship to any country where its legal. It's time to get your hands on this affordable deal coming straight out of the factory! The AK 47 S Sportline Airsoft Gun from Airsoft GI hits you with a bit of nostalgia and gives you a very classic feel, no pun intended. The folwding stock makes it very compact if necessary, yet has the ability to be a full length rifle as well. You have a very iconic model if a very budget minded price point, especially with the factory direct. 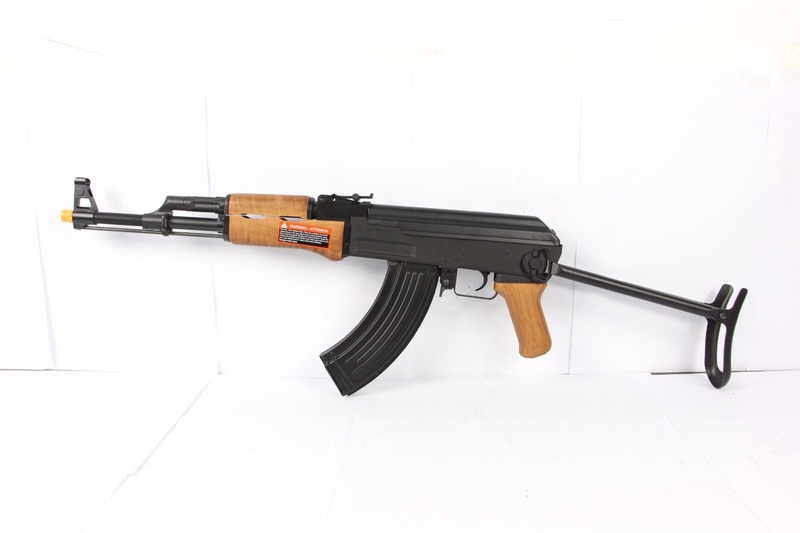 If you are looking for an airsoft gun that is as timeless as it is reliable, look no further than the AK 47 S Sportline . The sheer nostalgic factor alone is enough to warrant a look and maybe, even a purchase!